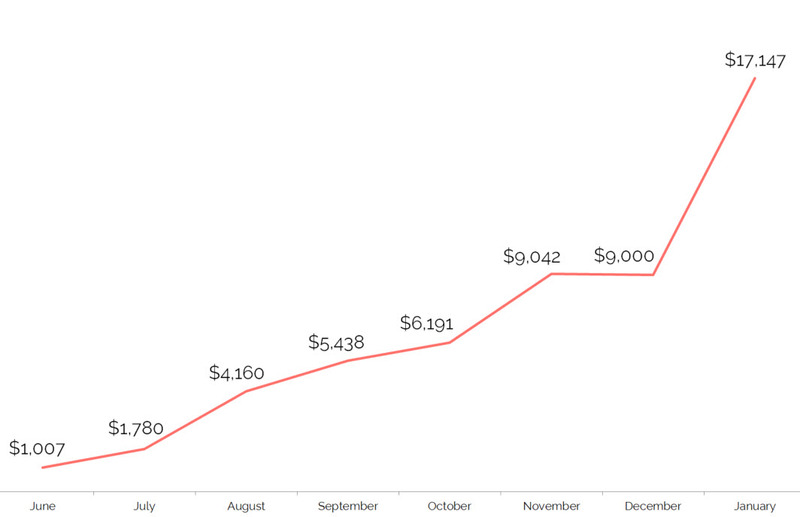 In one year I’ve been able to grow my blog from $0 to over $17,000 per month. Below you can see my blog income chart. This income came from services, affiliates and products. I want all moms to be able to make money from home while raising a family. I want you to achieve financial freedom. I want to help you start and grow a blog without feeling overwhelmed. 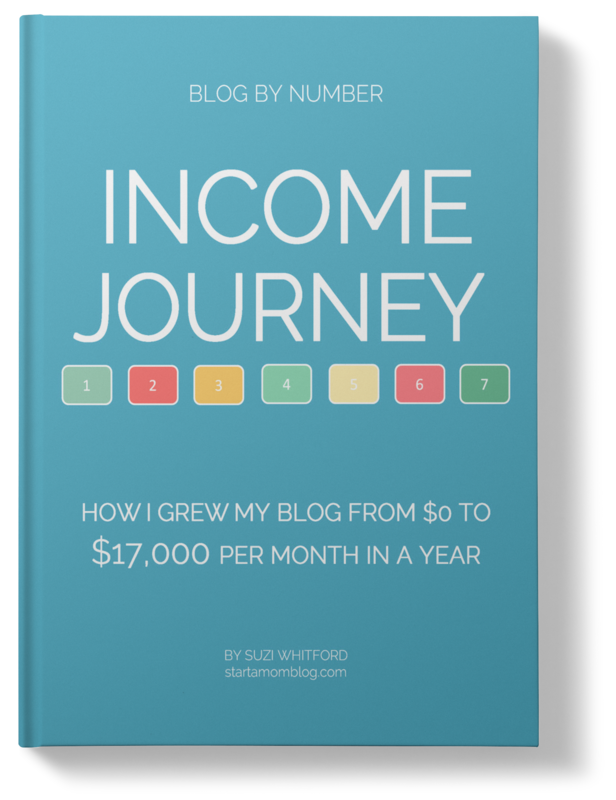 The Income Journey ebook dives deeply into the steps I took to make this happen. Since writing and launching this ebook, I have continued to implement the strategies I share in this ebook, and my income is now over $20,000 consistently month after month. I’ll show you what I did every step of the way. Hi, I’m Suzi. I’m a stay at home mom of two young ones (and pregnant with my third) and I started my blog 3 weeks before the birth of my second baby. If I can do it, you can too! Month by month breakdown of how I earned every dollar. How I grew my traffic every month and which posts did the best. The time management techniques I used to grow a successful blog while raising little children. Not only is the Income Journey ebook full of actionable advice, it is pretty too! 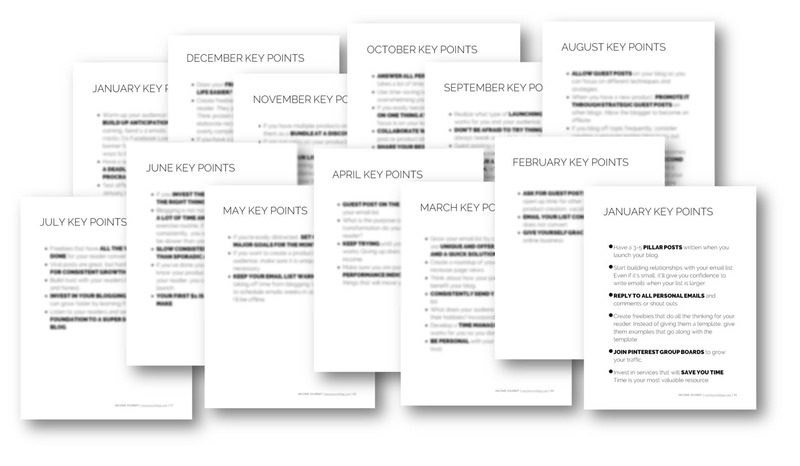 I’ve summarized the key points of every month for you to help you take action quicker! What if I’m not a mom, will this ebook still help me? 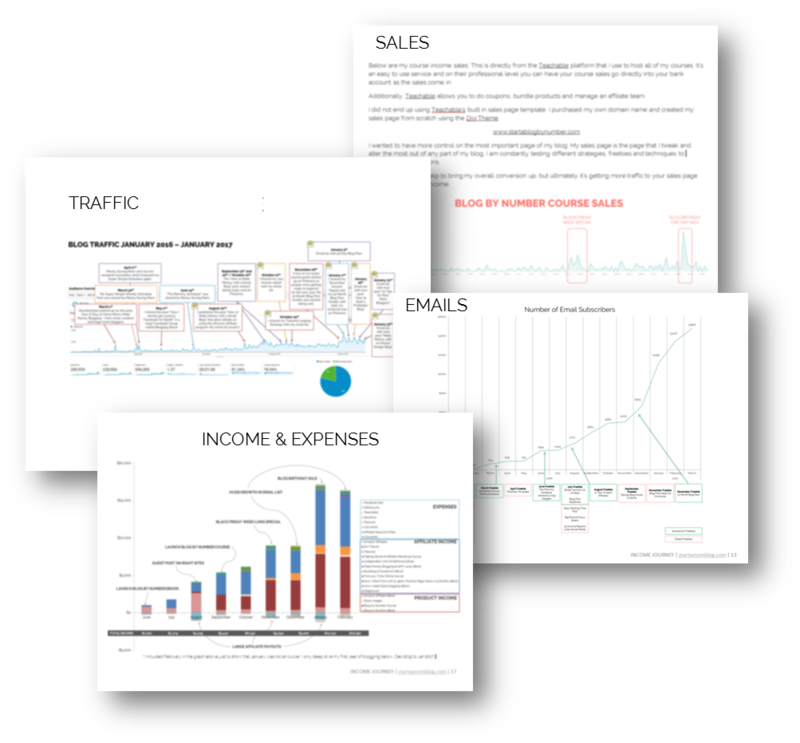 I explain every bump in traffic, email subscribers and sales to help you follow the same success! 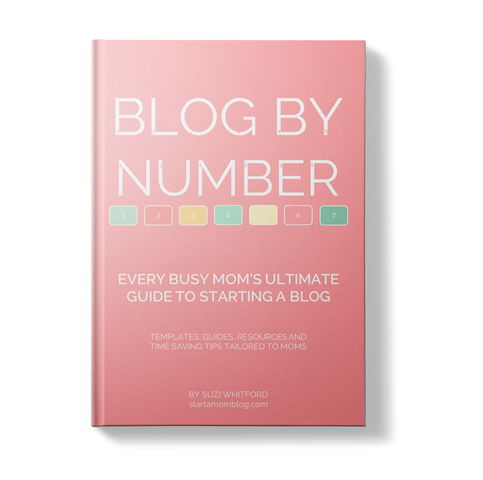 If you haven’t started your blog yet and you want a step by step process to set up a blog, Blog by Number is for you! The Blog by Number course guides you step by step through starting your blog with over 18 modules and videos to help you set up a professional blog, write your first blog post, get traffic and start making money. Over 1,300 happy students have enrolled in the course and started their amazing blogging journey to make money from home. In one year I’ve been able to grow my blog from $0 to over $17,000 per month. Below you can see my blog income chart. This income came from services, affiliates and products. I will show you how I did this! Update June 2017: Since writing this ebook I’ve continued to implement the strategies I share, and now my income is over $20,000 per month consistently. The exact steps I took month by month to grow my income from $0 to over $17,000 per month in a year! Over 140 pages of tips, advice, mistakes to avoid and quick actionable steps. 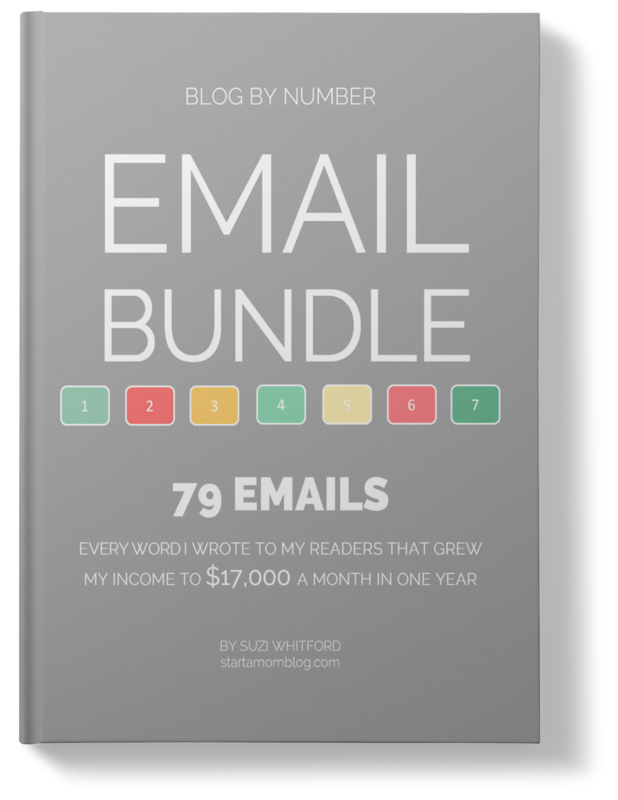 79 verbatim emails I wrote to my list that grew from 0 to over 15,000 email subscribers.